Xian Lim Looking Hot and Tough on the Cover of Garage Mag! Xian Lim is the cover guy of the male fashion mag, Garage Magazine for this month of September 2012. On the said cover, Xian looks tough and hot! His look seems seducing you! 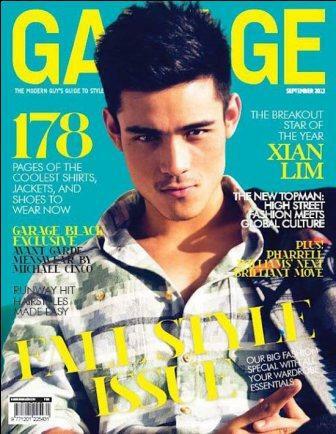 Garage mag is actually Xian's second magazine cover for the month of September 2012. He is also the cover guy of Inside Showbiz Magazine. Great one Xian!